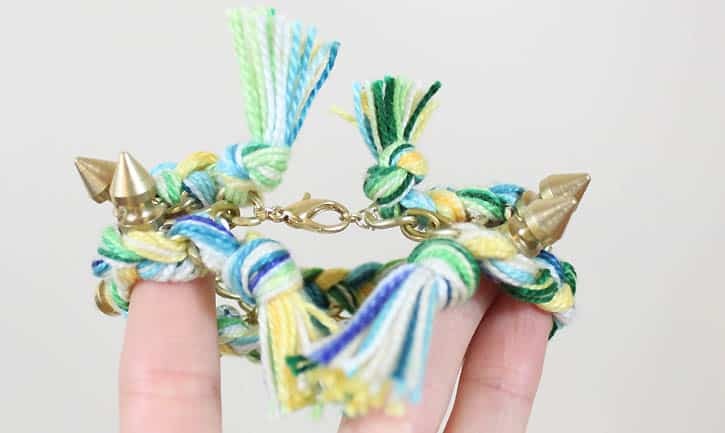 I’ve been admiring these Aurélie Bidermann bracelets for quite some time. 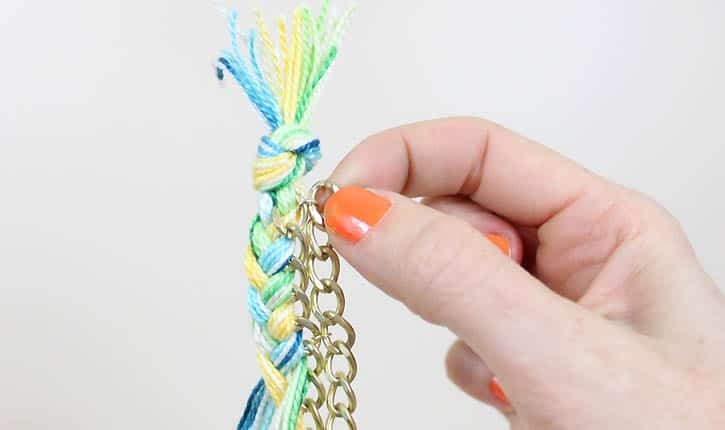 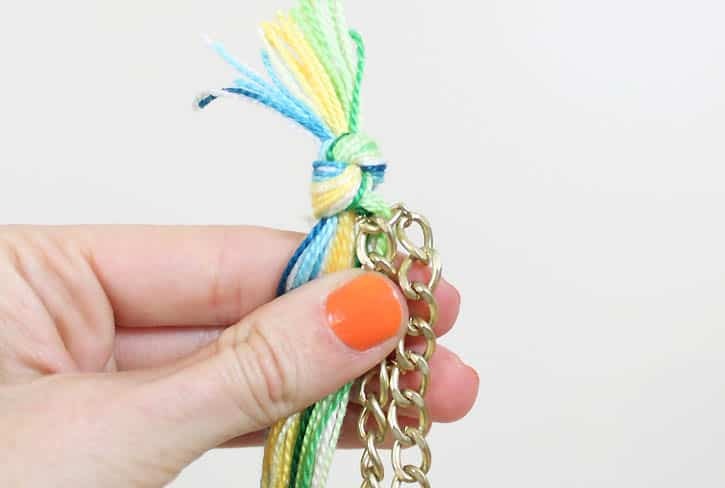 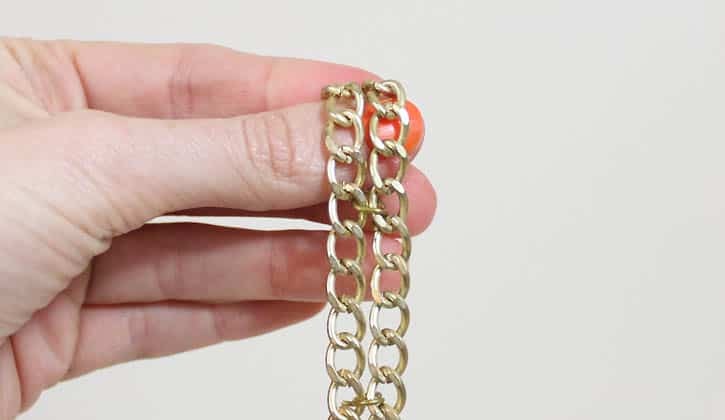 The concept is pretty simple- one strand of the braid gets woven into the chain. 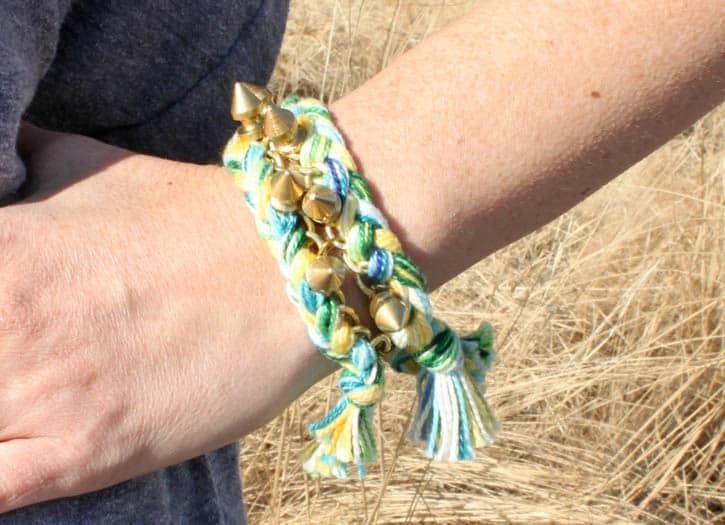 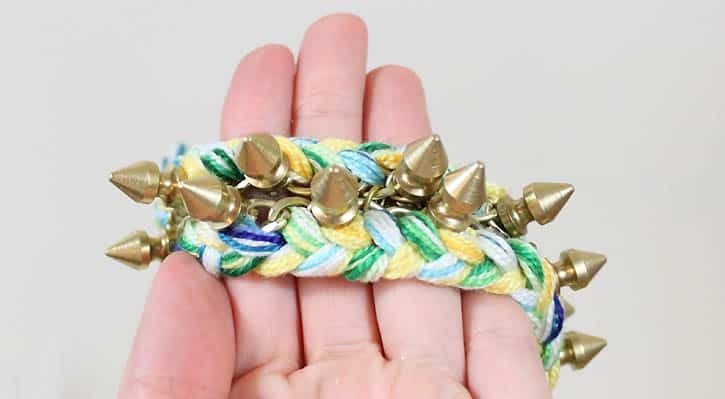 I decided to add my own twist on the bracelet by adorning it with gold spikes. 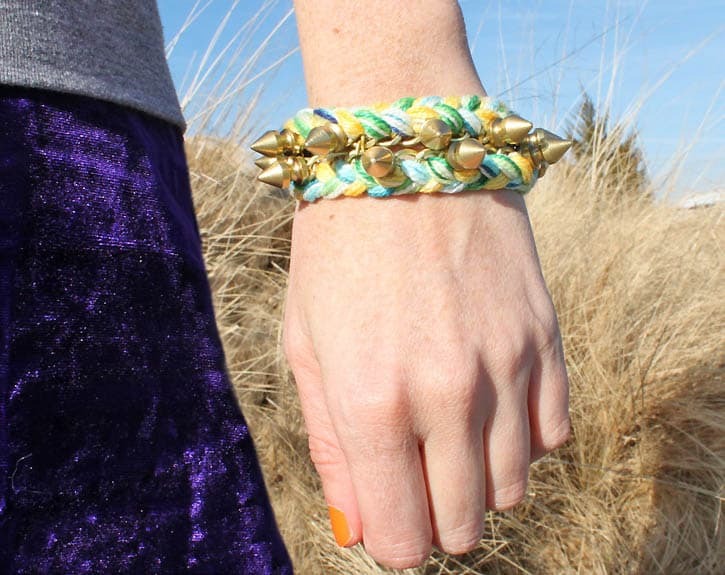 I like yours even better than the original!